A man who ran a 'mileage correction service' has been jailed for nine months after pleading guilty to five charges under the Consumer Protection from Unfair Trading Regulations 2008 and eight charges under the Fraud Act 2006. Colin Michael Ogle, a Swindon-based trader, ran a business that advertised and provided a mileage correction service claiming to fix a range of problems with car, bike and van dashboards such as making changes to speedometers and odometers. He accepted that he adjusted vehicle odometers and had failed to take proper steps to check the reasons for requested mileage corrections or keep proper records in 70 to100 instances. The Office of Fair Trading believed that as a result of Mr Ogle's actions, future purchasers were deceived and over paid for clocked vehicles. Mr Ogle also agreed to a further 19 offences being taken into consideration. It is the first time that a provider of 'mileage correction services', rather than the seller of clocked vehicles, has been convicted under consumer law and follows the OFT's 2010 study into the used car market. The body estimates that the potential loss to consumers from the purchase of vehicles with false mileage is up to £580 million a year. His Honour Judge Ambrose said: "The second-hand car market affects us all. Mileage significantly affects the market. Consumers rely on mileage when making purchasing decisions. It is the second biggest purchase consumers make after property and for others it is the single biggest purchase. "The clocking of cars corrupts the market and brings unjustified suspicion on honest traders." 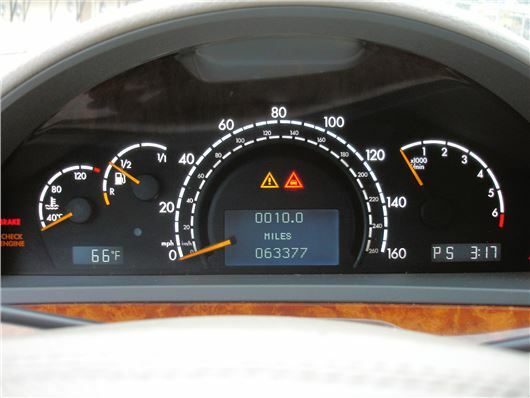 The OFT believes that legitimate mileage adjustment is extremely rare. The OFT has identified 71 other websites advertising mileage correction services online and is working with local Trading Standards Services to contact these businesses to ensure they are aware of their responsibilities and to inform them that they run the risk of prosecution if they do not comply with consumer protection law. Ali Nikpay, Senior Director at the OFT, said: 'Thousands of consumers are paying over the odds for cars that have had their mileage illegally tampered with. This landmark prosecution sends a clear message out to those adjusting car mileages that they face prison if they break the law. "We will be working closely with our enforcement partners to raise standards across the sector and ensure that appropriate action is taken where mileage correction businesses break the law."